How to Fix/Solve Error 504 on Android – Today in this guide I will help to resolve the error 504. If you are an Android user and facing the error 504 and looking for a solution for it then this guide may be helpful for you. Error 504 is a common error which is faced by the most of the Android user all around the world. This error occurs when you try to download any apps, games or any other kinds of stuff from Google Play, and this error may not allow you to download the desired app from the Play store. There are various types of solutions to solve this problem and once again you will be able to download your desired app from the Play store. Follow the below given different methods in order to solve the error 504. This is the most simple and easy method to solve the error 504. 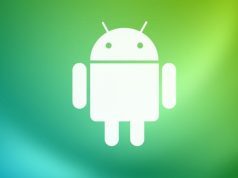 I have mentioned this method first because this method has worked almost for every Android user. Step 4: In Google Play Store, Click on Clear Data and Clear Cache. That’s it. I think till now the Error 504 should be successfully solved. Now try downloading any of the apps, and I believe you should not face any problem. In case the first method did not work for you, and you are still stuck with the error 504 then try the second method. In some cases, a very weak internet connection may lead to this error. So you can try to connect to any other Wi-Fi connection or mobile data from any other SIM. Many users found this trick helpful, so there is a possibility of this method just doing the trick for you. Otherwise, you can try downloading third-party VPN application from the Google Play (if possible), or you can download the VPN apk available online. Once you have downloaded, you can try changing the location to the USA or to any other country, and then once again try downloading the apps from Play store; this may also help you to solve the error 504. If both the above steps did not work you, just disconnect your Mobile data for some time, and then enable your mobile data and try downloading the apps from the Google Play Store. This trick may also work sometime. If none of the above methods worked for you then this is the last possible method you can try. Step 5: Now repeat the same method which I have shown you in Method 1 (Clear cache/Data). Step 6: Once cleared, come back to Google Accounts, then add the same account which you have deleted by entering the respective creditanals. That’s all you have to do in this method, I hope that if any of the above method didn’t work for you, this method will help you to solve the error 504.